As I write this, the economy, especially where the availability of jobs is concerned, times are good in the U.S.A. right now and may be in a number of countries around the world as well. Yes, when I look at Craigslist or simply look around me from day to day, I see lots of signs saying things like, “Now Hiring!”, “Help Wanted”, and “Positions Available!”. Does that mean you can simply walk into any business establishment and they’ll simply give you the job you want if you simply ask? No, times have probably never been that good for the job seeker. There are still things you need to do, and one of them is to have a resume. Any employer, no matter how desperate for workers they are, will still want to know something about you before they make a hiring decision. And a resume will help you in this area. Remember, even if you are the only candidate for the job, the prospective employer will never be desperate enough to hire you on the spot when they know absolutely nothing about you! And, even if you are the sole candidate for a job opening, that is not likely to last long, even in the greatest economic times. A resume tells them some basic information and gets your foot in the door. And remember, a resume allows you to “toot your own horn”! And in these good times, it can still put you ahead of the game when other competing candidates decide they don’t need a resume and can cut back on the things they felt they needed to do when job hunting was tougher and jobs were scarce. And, having that resume in hand gives the prospective employer something tangible to work with when deciding whom to hire. So, what if you have a job that you like and plan to stay with? Should you even hang onto your resume? Well, today, there’s no such thing as a secure job. Even if you’re the best employee in the world, your employer could go out of business, or retire, the company can be bought out and the new owner may want to replace the staff with his or her own, and oftentimes, while times may be generally great, small “spot” recessions can come up, which can mean layoffs. So, Yes, hang onto your resume and to update it, even if you have a job. Just having a resume, even an old one that needs updating, is better than none at all. And, especially as you gain more work experiences and achievements, it will help you to keep track of what you’ve done and what you’ve achieved over the years. You’ll be less likely to forget that one achievement that could get you that job you’re going for now. Also, if you are trying for jobs in differing fields, or that emphasize different types of duties, you may want to have several resumes that emphasize your different skills and experiences. 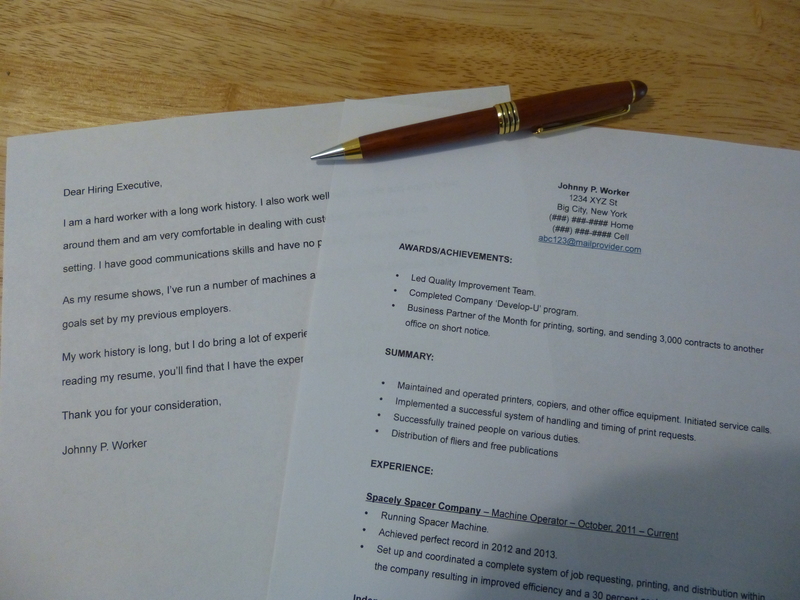 Even having an old resume that hasn’t been updated will provide a foundation for creating additional resumes. So, if you don’t have a resume, get one now. And if you do have one, be sure to update it. This entry was posted in Job Search Tips, My Posts. Bookmark the permalink.